Lasagne is one of our favourite meals. We don’t make it nearly often enough and I’m not sure why because it’s a really easy recipe. This recipe is a bit different to the syn free version. It uses a tin of Asda macaroni cheese whizzed up, for the white sauce. The syn free version uses yogurt for the white sauce and we’re not as keen on that version. 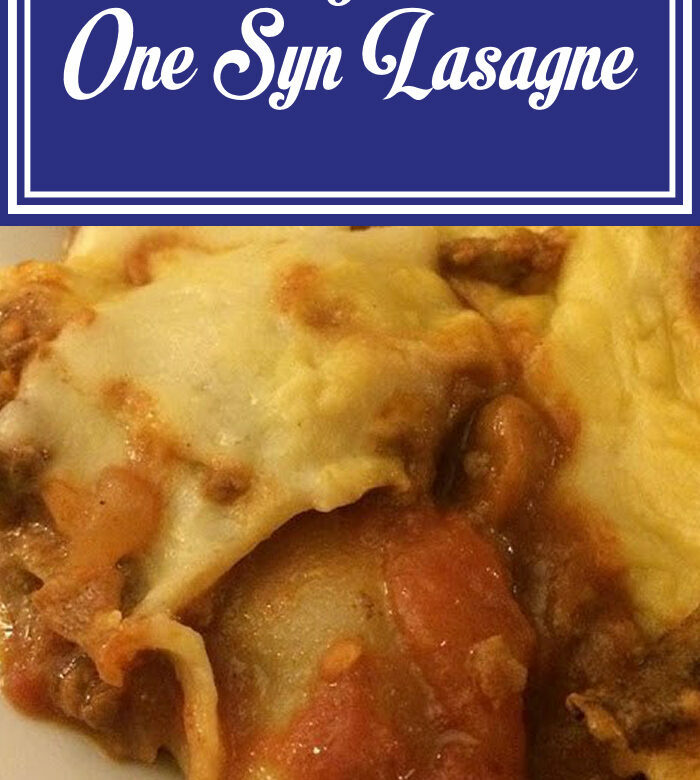 Syns per serving – I count it as 1 syn even though it’s slightly less. If not using the cheese as your healthy extra, it will be 7 syns per serving. Spray a large frying pan with fry light and add the chopped onion and peppers. Fry until soft. Add the minced beef, salt, and pepper, garlic, and mixed herbs. Stir fry until meat is cooked. Add the mushrooms and stir-fry until cooked. Crumble the beef oxo into the mixture then add the chopped tomatoes and splash of Worcestershire sauce. Mix well and bring to the boil. Turn down the heat and simmer for 20 minutes, stirring occasionally. While the meat mixture is simmering, empty the macaroni cheese into a jug and use a hand blender to blend until smooth. It’s quite thick so add water until it becomes a nice sauce. In a lasagne dish, cover the bottom of the dish with the meat mixture. Cover the meat mixture with the lasagne sheets then add another layer of the meat mixture. Continue layering the meat mixture and lasagne sheets until you get near the top of the dish. On the top lasagne layer, pour over the macaroni cheese sauce. Sprinkle the cheese all over and bake in a pre-heated oven, 200°C/180°C fan/Gas 6 for 25-30 minutes. Serve with a large mixed salad.